These are common problems that we see when repairing roofs in Metro Atlanta. Leaving these problems unattended can cause leaking, moisture build up, mold and mildew in your home. These are major health and safety hazards that could be prevented with repairs. These warning signs may indicate further hidden leaks and damage that could impact the integrity of your home. Roofs in the greater Atlanta area have endured a considerable amount of severe weather throughout the years. Our weather systems and humidity can push even the strongest roof to vulnerability. A roof needing a repair is dangerous. 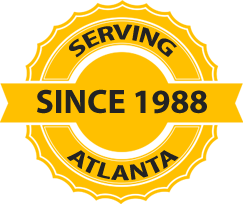 Atlanta residents considering a roof repair or roof replacement shouldn’t waste time scheduling estimates and calling different roofing companies in the area.